The concert season finished up last week with performances by the MHS Jazz Band and all of the Duniway and Patton music groups. 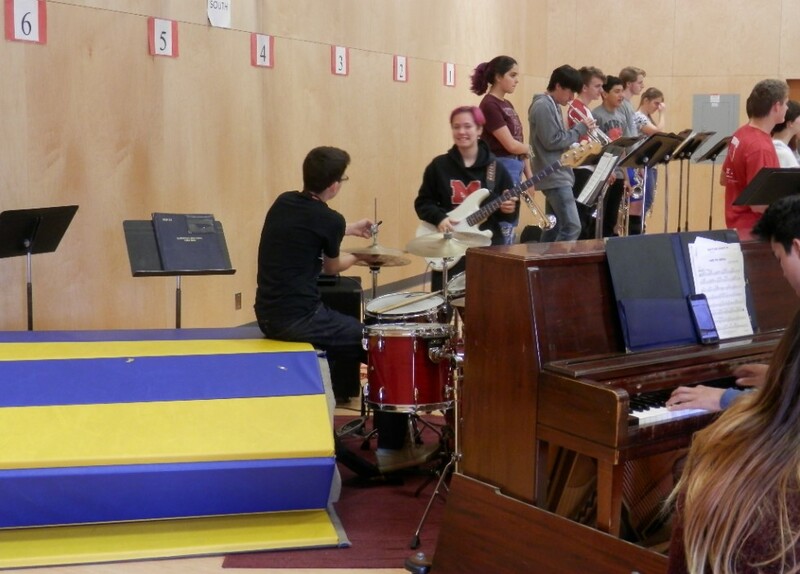 The MHS Jazz Band got the kids moving at Newby Elementary with a lively Thursday afternoon show. In between numbers, Mr. Barton sneaked in a bit of music education about how Jazz styles have changed over the decades and had the band members demonstrate the different families of instruments. As you know, one of the main elements of Jazz is that musicians need to be able to improvise. And while Phillip is quite capable of improvising on the drums, he’s also pretty good at improvising a drum stool. All the Duniway music groups took to the stage Wednesday evening for their final concert of the year. 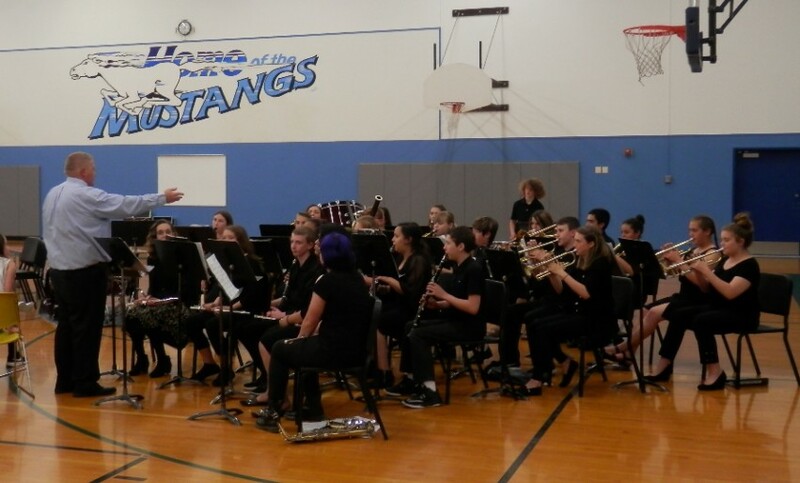 Each group can fit well enough on their own, but when you put both the Novice Band and Concert Band together it can get a bit crowded. Over at Patton, the gym was packed with as the bands and choirs entertained their families on Thursday evening. As always, if you have any pictures you’d like to share of your favorite school musicians, please visit the Share page at the Mac Band website and upload them there. The Parade Band will take to the streets at Carlton Fun Days on Saturday, June 23rd and again at the Lincoln City 4th of July Celebration on Wednesday, July 4th. 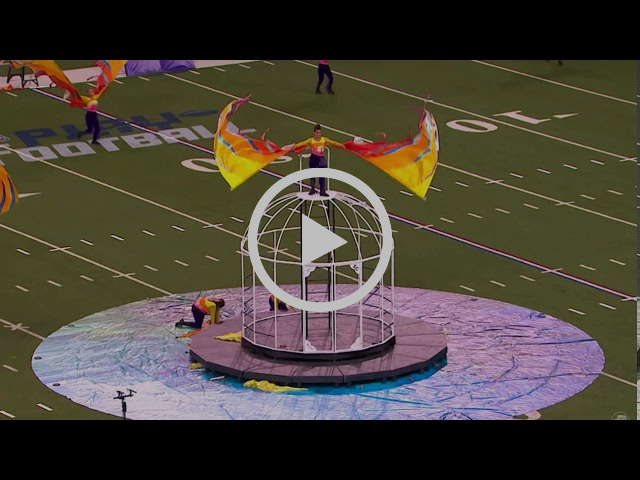 For a sampling of musical styles and cultures from all over the world, take a trip over to Salem for the World Beat Festival. It starts up on Friday, June 29th and and runs through Sunday, July 1st.